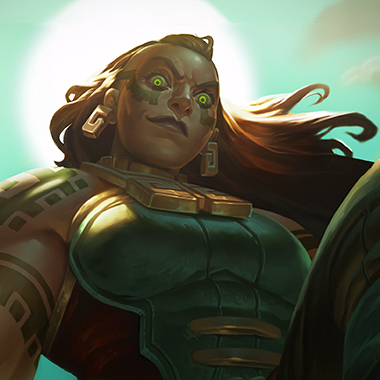 Illaoi was hugely anticipated when she was released. 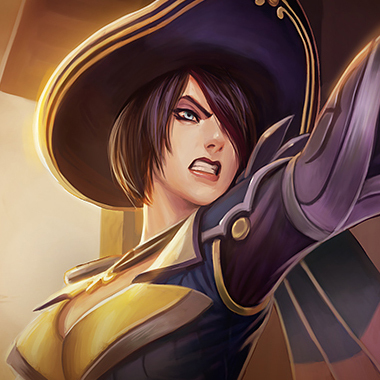 She was originally shown in the Gangplank storyline to be a strong powerful woman. When her kit was revealed, the montage potential seemed limitless. Then she came out. People were excited because she proved to be a huge lane bully. Then they realized she does nothing else and Illaoi was forgotten. 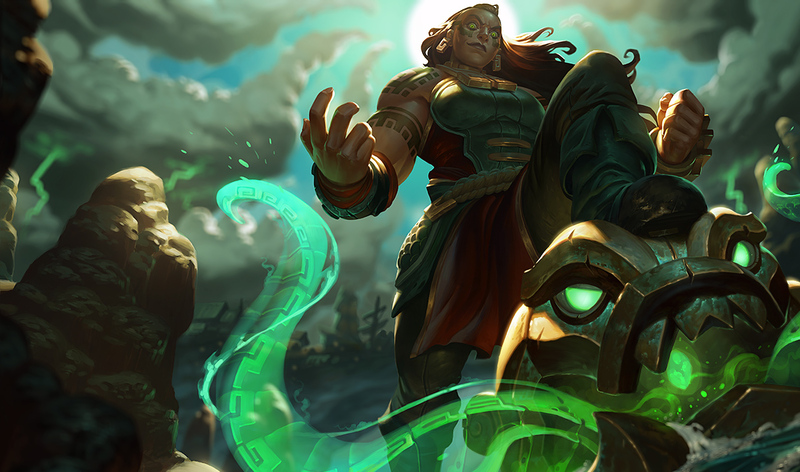 Illaoi is a tanky fighter who acts as a huge lane bully and pusher. 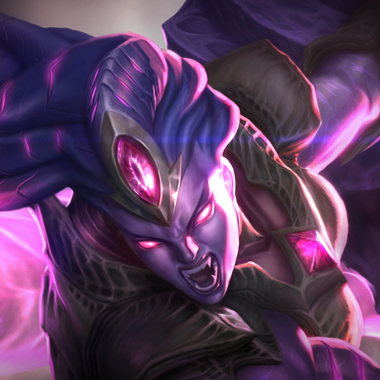 In team fights, she can cause huge AOE damage if she hits enough people with her ult. However, this hardly happens and she’s overall not that powerful of a champ in the metagame. All she brings to the table is damage and tankiness. If you can survive her laning phase, the game basically turns into a 5v4 for your team. However, if you let her snowball, she’ll just keep pushing your lane until she reaches your inhibitor in 15 minutes. 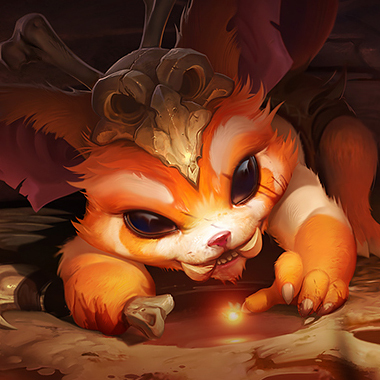 You won’t be able to group up on her because she’ll just ult and get a double or triple kill. In this guide, I’ll be helping you survive the laning phase with Illaoi so that she won’t survive the rest of the game. Illaoi summons tentacles around her randomly which attack enemies if she uses her W or E on them. Illaoi smashes the ground before her, dealing damage. Illaoi gains bonus basic attack range and dashes to her target, dealing damage and causing all nearby tentacles to slam towards her target. Illaoi throws out a tendril. If it hits an enemy, their spirit is taken. If the spirit is attacked, the enemy takes damage. If the spirit is killed or the enemy moves out of range, the enemy starts to spawn tentacles around them that attack them. Illaoi jumps into the air and slams the ground, spawning tentacles per champion hit. For the next few seconds, the tentacles are hyperactive and Harsh Lesson’s cooldown is reduced. Try very hard to dodge her E. Being affected by its debuff is one of Illaoi’s strongest tools in lane, and it’s fairly easy to dodge, as she has a very elaborate animation when she casts it. Illaoi is very susceptible to CC, and she has very little utility. If you CC her, she won’t be able to do any damage and is basically useless. Her tentacles give gold. 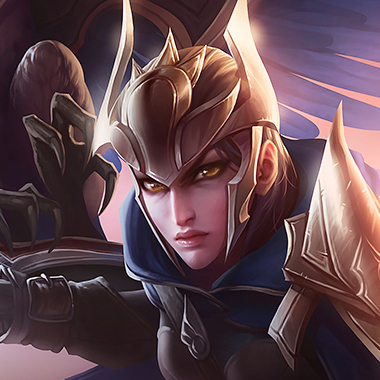 If you choose a ranged champion, you can farm them and she won’t be able to cast W or E on you to activate them. Stand away from the tentacles if she comes near. Getting hit by a tentacle hurts like crazy, but it’s fairly easy to dodge. If she’s focusing your soul, attack her so that the trade turns out in your favor. Illaoi pushes naturally but is susceptible to ganks pre-6, because she’s immobile. Ask your jungler for help. Post-6, don’t ask for a gank unless you two are both high on health, otherwise she’ll double kill you. The Vessel debuff reduces time on you for each time you kill a tentacle. Use your range advantage to harass her in lane. Be sure to farm her tentacles before you turn into Mega- Gnar, as in melee form, she can W you and hurt you with her tentacles. Save your leap for when she uses her ult. Just leap away. Build Black Cleaver then go tank. You should be able to dodge all her Q’s with your own Q. You can also block her E with your W. In addition, you trade better because of your true damage. Build Black Cleaver first. You can harass her all game. If she comes close, use E to leap away. Be sure to roam across the map, because she’s stuck in lane. Illaoi does physical damage and does max health damage, so stacking armor is the best choice. Items like Sunfire Cape are the most effective. Frozen Heart and Thornmail are ineffective because she doesn’t do much damage with auto attacks. Consider buying a Tiamat upgrade to push, as she’s going to push permanently.